When you are purchasing a new-build property there are a number of things to think about which are unique to the new-build home buying process. Here, Chartered Legal Executive, and experienced new-build conveyancing lawyer, Catie Edwards, discusses what these may be. In most instances you will be buying “off plan”. This means that you will not physically be able to view the property prior to you legally committing to buy it. You will usually be able to look around a show home which will give you an idea of the space and the finish. However you will have to rely on the plans and specifications set out by the developer. It may also be difficult for you to envisage, at such an early stage, the size and style of the estate you will be living on. You will need to check whether the property you will be purchasing is a freehold or leasehold property. Historically most houses have been sold as freehold properties and most flats as leasehold; however, this is not always the case. 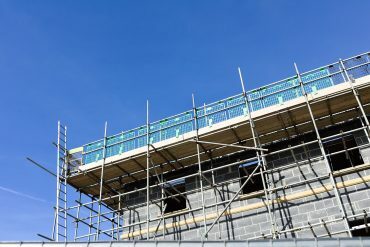 Some new-build estates may have leasehold houses, particularly if there are shared areas to which a contribution needs to be made. There has been a lot of media interest in the sale of leasehold houses and the Government is currently consulting on limiting the sale of leasehold houses in the future. If you are obtaining a mortgage you need to bear in mind that a mortgage offer usually expires after 6 months which may mean, if there are delays and your property is not ready for you to move in to, you will need to obtain a new mortgage offer. If your circumstances or employment have changed in this time it may make it more difficult to obtain a mortgage. On most developments you will exchange contracts without a fixed completion date. Once the property is ready for occupation the developer will give you two or three weeks’ notice of a completion date. The developer will provide an estimated timescale. However the contract will usually state that delays may be caused due to unforeseen circumstances such as bad weather. The property will usually have the benefit of a 10 year warranty. In accordance with that guarantee, the developer will be required to put right any breach of the mandatory building requirements reported within the first two years of your ownership. Wear and tear, deterioration caused by neglect, normal dampness, shrinkage etc. will not be covered. For the eight years following the initial two year period the warranty provider will put right any structural defects. Buying a new build property usually comes with strict deadlines set out by the developer. You will usually be expected to instruct a solicitor or conveyancer straight away and the developer will expect that exchange of contracts happens within 28 days. It is important therefore that you are as proactive as possible during the transaction and prepared for things to move quite quickly. Finally, you may be eligible for assistance from the Help to Buy (Equity Loan) Scheme in order to buy your new-build property. You do not need to be a first-time buyer to participate in the scheme, although there are eligibility rules. More information can be found here.